Thank you to our industry partners for supporting the OVMA and our public relations program. Find out more about becoming an industry partner and our other advertising opportunities. We Start with Smart: A Plan and a Partnership. For No-Surprises No-Regrets Veterinary Construction. Remove All Doubt, Ask a Fellow Vet! Over 100 years of Veterinary, Business, Finance, Brokering, and Real Estate experience. Trusted by veterinarians to purchase or sell veterinary medical practices and real estate including: associate to own, mergers, buyer’s representation, lease negotiation, building purchase/sale, associate placement and/or in-house transitions. We provide accredited valuations, creative financing solutions and personalized local service. Serving the Western United States with honesty and integrity. Initial consultation and analysis always free. Trends in Transitions—Is It Time to Sell? Wherever you may find yourself in your practice’s financial cycle, our team of seasoned financial professionals at First Interstate Bank are here to help guide you through your next financial plan for growth, stability or succession. Our array of financial products from equipment loans, lines of credit, treasury solutions, deposits, industry cards, ACH and internet banking can be tailored to fit and suit your individual needs to help you reach your next goal. Give us a call and one of our professionals will schedule an appointment to come visit with you. Providing veterinary architecture, space planning, interior design, consultation, and construction administration services throughout the Pacific NW since 1969. For over 55 years, AVMA PLIT has supported veterinarians with an insurance program designed by and for veterinarians. Today, the PLIT offers an extensive array of services including professional liability, business and personal insurance. Additionally, the PLIT provides veterinarians with comprehensive educational materials in the form of safety training modules, newsletters and an online library of resources. Veterinary and Pet Care Facilities are a unique and specialized type of construction that demands a qualified and experienced contractor. BnK Construction, Inc. can assist you in all aspects of your project from site selection, equipment procurement, design on through complete construction. Please visit our Web site to discover what BnK can do for you! NexGard. The chewable flea and tick killer is preferred by dogs is also the only one FDA approved to prevent infections that cause Lyme disease. NexGard kills infected black-legged ticks before the bacteria that cause Lyme disease can be transmitted. For puppies 8 weeks of age or older, weighing 4 pounds or more. CBC Practice Banking is a division of CBC Bank that is completely dedicated to the Veterinary Profession. We offer handcrafted lending solutions to our veterinarians for a variety of endeavors. These endeavors include practice acquisition, construction, student loan debt refinance, business debt refinance, and new practice locations. We believe in keeping veterinary medicine in the hands of veterinarians and have a dedicated team whose clients are only veterinarians. As a true partner to our clients we support them through our Practice Foundation Series and Owner’s Academy to help them be successful in their practice and in life. For nearly 100 years, HomeStreet Bank has been driven to transform the financial lives of our customers—through lifelong relationships, community outreach, and expert service. We offer consumer and commercial banking, mortgage lending, residential construction loans, commercial real estate financing, and investment and insurance products and services. Founded and headquartered in Seattle, HomeStreet Bank is proud to serve customers and businesses in over 100 locations in Seattle and throughout the west. Lakefield is a privately held, family-owned company building communities of like-minded veterinarians. We know you've spent a lifetime building a veterinary hospital defined by personal care, a unique culture, and dedication to your community. We believe this legacy matters more than anything. By partnering with Lakefield when you transition the ownership of your hospital, we preserve and protect that legacy for decades to come. Mackenzie Martin with Medical Professionals Financial Group is part of a team of highly motivated individuals dedicated to the financial health and well-being of our clients. Our strength is generated from long-term commitment to our clients and veterinary, medical and dental communities. Mackenzie provides guidance for investments, insurance (life/disability/long term care) and financial planning. She is the endorsed advisor for financial planning for PVMA and WSVMA Members. We do not sell commercial veterinary products, supplements, flea collars, or vaccines. For we feel veterinary clinics are well-equipped to serve their clientele with these needs. We prepare prescriptions in our state of the art compounding pharmacy. Our clean rooms are certified every 6 months in accordance with USP <795> and <797> guidelines by an independent company. Our pharmacy labs include an independently certified Class 1000 clean room equipped with a Class 100 Laminar flow hoods and a Class 10,000 clean room. We regularly send samples of our products out to an independent testing facility to ensure accuracy, potency, sterility, and BUD. Our pharmacy has been a member of the Professional Compounding Centers of America since 1991. In order to suit your needs, we offer free shipping and most prescriptions can be completed on the same day. Practice Sales/Purchases/Buy-ins/Appraisals. Ease. Education. Experience. We put the longest established, most experienced, veterinary brokerage and appraisal team to work for you. We educate you on value, the buying and selling process, and your options, to bring you ease and comfort knowing you, your practice, and your dreams are in good hands. Working with buyers achieving practice ownership dreams. Working with sellers achieving rewards from years of hard work. Getting deals done! Does My Long Term Associate Own Some of the Goodwill in My Practice? How Are Practice Sales Being Financed Today? How Does Generation & Gender Affect Practice Ownership? 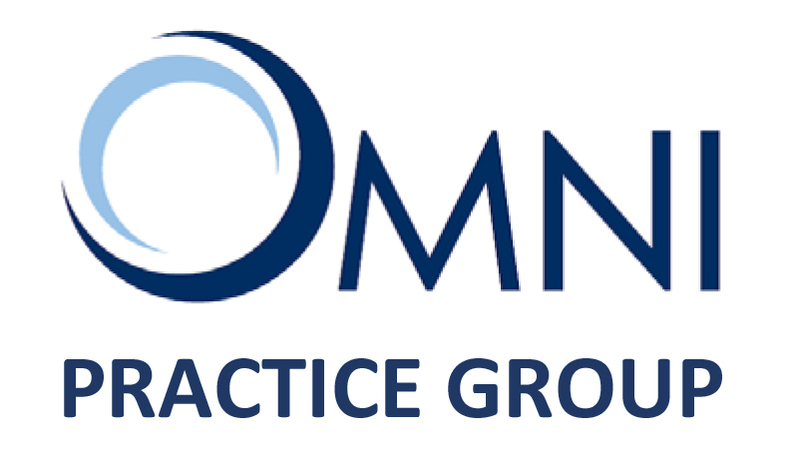 Is a Practice Merger a Good Option? Is My Practice Worth One Year's Gross? SoundTM is by a distance the veterinary industry's #1 digital imaging and PACS company, with uncontested leadership positions in ultrasound, digital radiography, imaging education and PACS solutions. SoundTM is the exclusive provider of GE Ultrasound equipment for the veterinary market in North America. We are independent brokers in the Pacific Region of Total Practice Solutions Group. TPSG is a nationwide group of veterinarians, brokers, attorneys and business experts. We meet your practice needs with Buyer Representation, Seller Representation, Appraisals, Financing Assistance, Management Consulting, Contract Negotiations, Legal Representation, Transition Planning and Real Estate Sales and Leasing. As a veterinarian, attorney and Accredited Valuation Analyst (AVA) Karl Salzsieder is uniquely qualified to provide practice owners and future buyers with honest, experienced advice to find value in your practice, to assist in the practice sale and to get clients results in the succession planning area. Zoetis is the world leader in animal health. We discover, develop, manufacture and market veterinary medicines and vaccines, complemented by diagnostic products, genetic tests, biodevices and technical services. We work to help meet the growing worldwide demand for meat, poultry, fish, and dairy foods and the increasing desire for animal companionship. With our singular focus on animal health, we strive to make our products, services and people the most valued by our veterinarian and livestock producer customers around the world.